is enhanced with a small crystal stone. 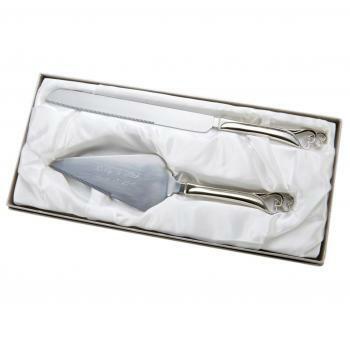 The serrated edge knife is 13" long and the serrated edge cake server is 11" long. This non-tarnish nickel plated set is gift boxed. Knife 13" - Server 11"